Open to recently graduated ceramicists or Applied Art/Fine Art graduates working with clay in some form (within 5 years of graduating including those who will graduate by summer 2019). Four makers will be selected to take part in a presentation and exhibition during festival. At least one of these will be awarded an international residency, details will be confirmed shortly. 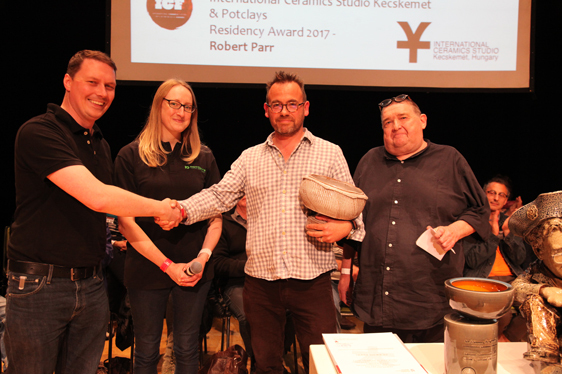 Applications for 2019 are now open, for more information please see the Potclays Emerging Makers Award page. 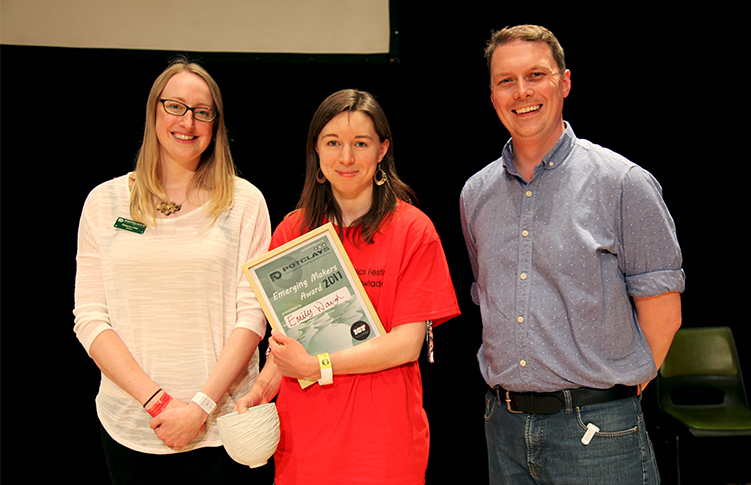 Winner of 2017 emerging makers award, Emily Waugh. We are pleased to announce The International Ceramics Studio (ICS) is once again offering a residency opportunity in Kecskemét, Hungary. Applications are open to ALL UK based ceramic practitioners including mid-career and late adopters of ceramics wishing to work in a rich and cultural environment. The ICS Artist-in-residence program allows artists to work in the context of a different country and culture. The ICS is a centre of international cultural exchange, allowing artists to work alongside others from a variety of rich and culturally diverse backgrounds as well as local arts professionals and students. For 2019 the International Ceramics Festival (ICF) is introducing a film strand to the programme. We are inviting submissions from filmmakers for short films (15 minutes maximum) whose main focus is ceramics e.g. films about the process of making ceramics, films about potteries or ceramicists as subject matter, moving image/animation where ceramics or clay is a main feature. Applications are open to all adults over the age of 18 and can be based anywhere in the world. All films selected will be shown as part of the 2019 ICF and the winner will receive a weekend ticket to the Festival. For more information please see the Top Pot Supplies & ICF Short Film Competition page. We recruit 30-40 Festival Assistants each year, you do not have to be a student to be Festival Assistant although these roles are particularly beneficial for students to get first-hand experience of working with international renowned makers. 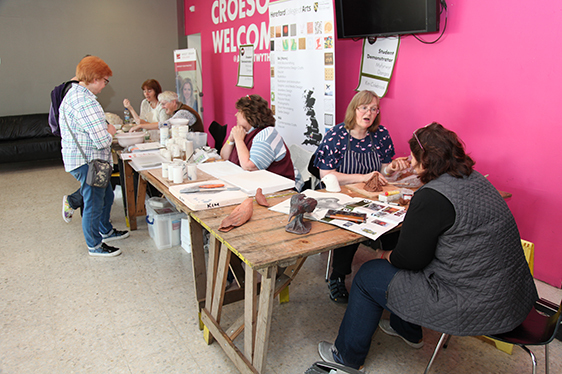 Festival Assistants can take part in a variety of tasks including setting up kilns, work stations, exhibitions etc. and we particularly welcome students from a range of institutions and courses. Festival Assistants applications are now closed, applicants will be informed in mid-April if they have been successful. The International Ceramic Festival is committed to offering opportunities for students and recent graduates who work in the field of ceramics. This applies particularly for those studying ceramics through Ceramic Design and Applied Art courses, but also to those who work with clay in 3-D design or Fine Art. We consider the needs of students when programming the event, and have particular activities and talks especially for students. Please see the full programme for more details. If you are a Higher Education Institute offering courses that feature ceramics, and would like us to visit to discuss opportunities for students at the ICF, please get in touch. 2017 Student Demonstrators speaking to visitors in the Arts Centre. We invite applications from each University or Higher Educations Institute currently running ceramics courses to nominate two students to give a demonstration of a ceramic technique or process. This will take place at a dedicated work space in a marquee on site during scheduled times over the weekend. Four places are offered and each student selected will get a free festival ticket, materials and a workspace. See Student Demonstrations for more information. Details for 2019 will be in the final event programme.